The Midland Group is glad to provide a speaker for your association event. Midland speakers stay up-to-date on the most pressing issues related to revenue cycle, hospital tax and compliance issues and public benefits law. Feel free to contact us using our speaker request form if you need a speaker for your professional association meeting. 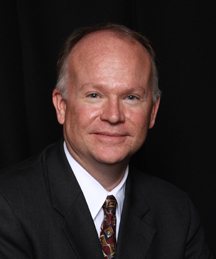 Midland speakers include Steve Fredrickson, a CPA and Chief Financial Officer for The Midland Group. Steve’s expertise includes tax issues related to hospital compliance. Cathleen is our Regional Director of Operations and an attorney with more than 20 years experience with public benefits law. As a Midland speaker, she presents on related topics including 501(r) compliance and Social Security Disability issues. Interested in inviting one of our speakers to present at your association meeting? Fill out a Speaker Request Form!